Gandhi famously once said, “You must be the change you wish to see in this world.” Shannon DuBois has taken this perspective to heart and is making a real difference — one person at a time — in the Seattle community where she lives. How is she going about it? This mom of three is in her fourth year of a five-year psychology doctoral program, and for her dissertation she is researching children’s executive functioning and how it is reflected in the classroom. In line with her study of psychology, Shannon counsels women and teaches classes on domestic violence at a Christian transitional housing program for homeless women and children. 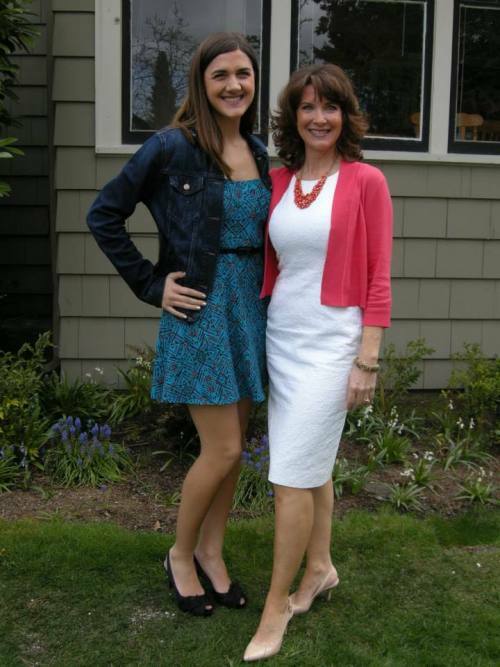 In addition, she provides behavioral counseling at the HopeCentral pediatric clinic. HopeCentral is located in the south end of Seattle, which happens to be one of the most diverse areas in the nation with over 59 different languages spoken. Often through the use of an interpreter, Shannon helps parents with parenting concerns and assesses children for psychological disorders such as ADHD. This kind of work takes real dedication and patience – we have so much respect for what she is doing. Shannon is also helping educate other students in her field. As a doctoral student, she teaches master’s level psychology students, and is part of the adjunct faculty at Northwest University. A Washington state native, Shannon grew up on a 70-acre farm that literally touched the Canadian border. She shared with us that “farm life was one of the best childhoods a girl could ask for: riding horses, bucking hay bales, and running barefoot through the fields.” Having one sister and no brothers, her parents distilled in Shannon the belief that she could do anything a boy could do, plus importance of a good education. 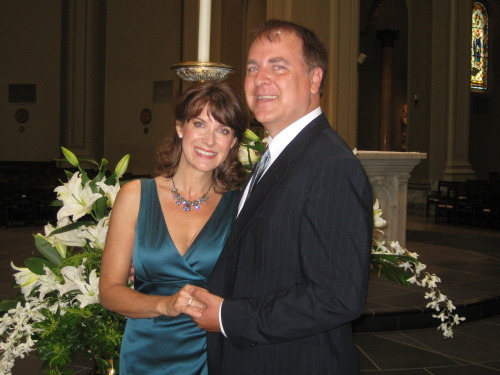 Shannon met her husband of 27 years, Jim, while earning her B.A. in Business at the University of Washington. 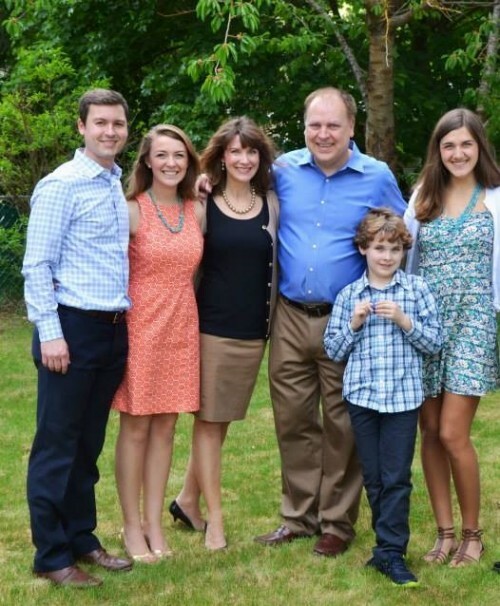 As a result of Jim’s career at Microsoft (he’s currently the company’s CIO), the DuBois family has been afforded some amazing experiences. A few of the most memorable include watching Formula One racing on a French Riviera yacht, attending Prince Philip’s birthday gala at London’s Royal Albert Hall, and watching the Seahawks win the Super Bowl last year. Not surprisingly, the family loves to travel and even lived as expats overseas in Japan and England for several years. 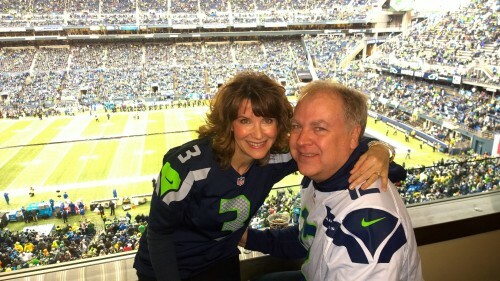 Die-hard Seahawks fans at the 2014 Super Bowl. 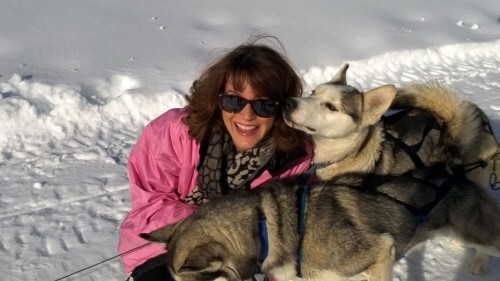 On a dog-sledding excursion in Utah following this year’s Sundance Film Festival. My black pumps. I think I bought them in 2007, have had the heels replaced twice, and still consider them my go-to for any festive or work occasion. These shoes have witnessed my daughters graduate from high school and college, they’ve attended my oldest daughter’s bridal shower, they’ve gotten me through several nerve-wracking psychology internship interviews, and they’ve danced the night away at many of my husband’s Microsoft holiday parties. They have been with me through tears of sadness, celebrations, and the bittersweet heartache of watching my children grow. In fact, I’m so fond of them that I don’t think I can give them away even after they fall to pieces. They are a little bit like the children’s book, The Velveteen Rabbit — they have been loved so much, they became real. The first person that comes to mind is the character, Diane Lockhart, from The Good Wife, played by Christine Baranski. I love her beautiful tailored, yet feminine, suits. I guess that’s probably because I believe women can succeed in their careers by still being women. I don’t think we have to downplay our femininity and become controlling and overly aggressive just to fit in. According to Margaret Thatcher, “Being in power is like being a lady. If you have to remind people that you are, you aren’t.” Having a soft side is part of how God made us and can be our finest asset. Diane Lockhart is strong, intelligent and honest, yet has a loyal, loving heart. It is this quality of empathy and grace while still speaking truth that I find so attractive. Plus, I have to say — I adore her gorgeous, statement necklaces. I’m the first to admit, I love designer items. I won’t buy anything designer, however, that is trendy. For example, when we lived in London, my husband bought me a Burberry handbag. It wasn’t too big, and it wasn’t too small — I used that purse for nine years! In keeping with my timeless and classic style, I stow away favorite outfits, digging them out to wear sometimes a whole decade later. The white dress I’m wearing in this photo (below) I purchased in London 15 years ago. I wore it to the Royal Ascot horse races, sitting just rows away from Queen Elizabeth II. My autumn-colored maxi dress (see below photo) I’ve had since the ‘90s. I don’t save everything, however, as I’m definitely not a hoarder. I only save clothes that have traditional and everlasting cuts in colors and fabrics that I love. If you get a ton of compliments on a certain piece, it is probably the right color and cut for you, so it might be worth keeping around. With a new necklace or scarf, these looks are fresh again. 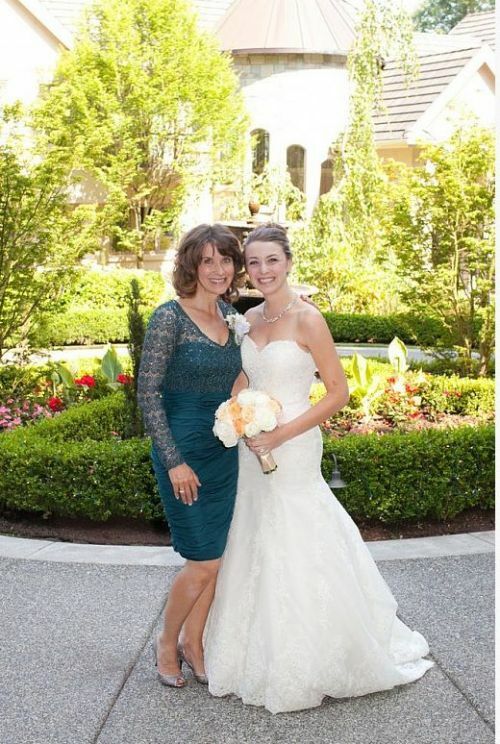 Shannon in one of her go-to sheath dresses with her daughter Dominique. 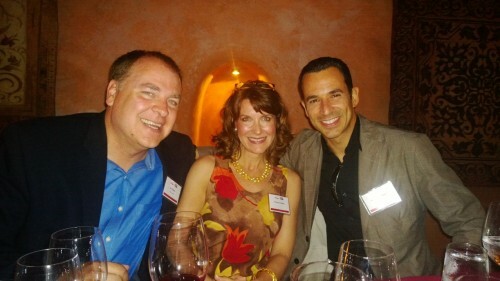 Shannon in her favorite maxi dress with Jim and race car driver and Dancing with the Stars winner, Hélio Castroneves. Conversely, I never give away accessories. Belts, jewelry and scarves always come in handy even if they are throwbacks. If you live long enough, just like history, style repeats itself. Why spend money on a new black pencil skirt when you still could have one in your closet from the ‘90s? MSL: Tell us about your favorite charitable causes. Deciding to go back to school in my forties and pursue my doctoral degree was due, in part, to my desire to help others. My family has been truly blessed beyond belief and it was my turn to give back. Counseling has become my vehicle. Working with prostitutes, drug addicts, and victims of domestic violence has been difficult, but also extremely rewarding. Sometimes I leave my internship with a heavy heart. Just recently a women who I taught in one of my classes went back to the streets and overdosed. She left a beautiful toddler behind. With the heartache, however, also comes celebration. I have a client, a former meth addict, who is graduating from our program in a few weeks. I counseled her through her recovery issues of anxiety and PTSD. Now she is healthy, working and considering going back to school. Additionally, I enjoy helping children. Their innocence is endearing and their pliable brains still hold promise. So many people have come from lives of destruction: parents on drugs, victims of sexual abuse, or learning disorders that nobody identified. All of this sets up a person for failure in life and, without help, it is difficult to succeed. My passion is with those who have suffered from these painful injustices. Finally, my husband and I support our church and are board members of an organization called Stronger Families. This organization helps military soldiers (especially wounded warriors), first responders, and churches by providing marital and relationship education. MSL: A beauty secret you are willing to share? My favorite part of being a mom is spending quality time with my children. We have a big stone fireplace in our kitchen with some comfy chairs and I think that space is where I first started counseling. Encouraging my children in their hopes and dreams, while also listening to their deepest despairs has provided incredible bonding time for all of us. Additionally, I am so proud of their accomplishments. Our oldest daughter, Dani, utilizes her English degree by writing for the Nordstrom website and has her own blog — shescharming.com. (We love Dani’s blog — be sure and check it out!) 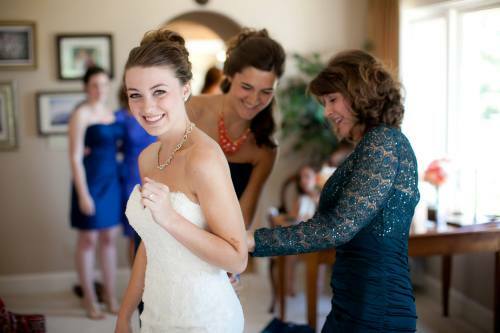 Last year, we hosted Dani’s wedding at our home where she married an amazing young man, Graeme Erickson. Our middle child, Dominique, is pursuing her goal to become a physician’s assistant (PA). One of the prerequisites to PA school is 4,000 clinical hours so she recently started work as an EMT. Shannon and Dominique ready to head off to work as an EMT. 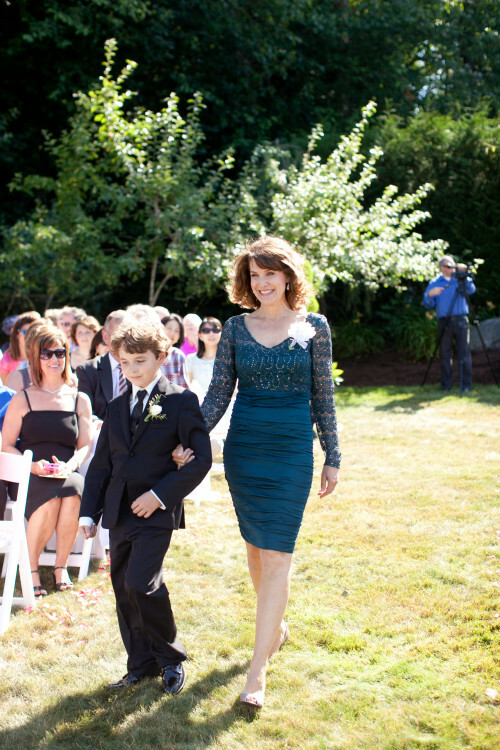 My biggest challenge has been parenting our son, David, who was born when I was 39 years old. He has a passion for life that is infectious, but also has so much male testosterone that he tried to take over the household at age 3. If I’m not careful, I find myself taking orders from him. That said, he’s a complete delight and at age 11, still crawls into our bed every morning to cuddle. He’s what keeps us young and I know that inside all that high-maintenance attitude is a boy who would do anything for his mom. When we were living in Tokyo, I had a short stint working in commercials and TV. It was very fun, but a tad weird. I still remember being spotted on the street by some of the Japanese viewers who had just seen me on a TV show the night before. Don’t follow every trend and try to wear items that don’t fit your particular body type. As a somewhat petite person, I wear shoes that lengthen my legs, not the reverse. Yes, I’d love to put on some of those new chunky shoes, but my legs would look 10 pounds heavier. Instead, find something that is still current, but flatters your body type. Additionally, take advantage of your natural gifts. If your eyes are spectacular, play them up with appropriate make-up and colors that highlight one of your best assets. Finally, smile. Smiling lights up person’s face in a way that make-up could never achieve. Plus, smiles are universal; they are translatable in any language!